Plant a Bible garden today! More than 125 plants plants trees and herbs are mentioned in scripture. Most are still growing at this time. These plants are a living link between us and the people of those distant times. 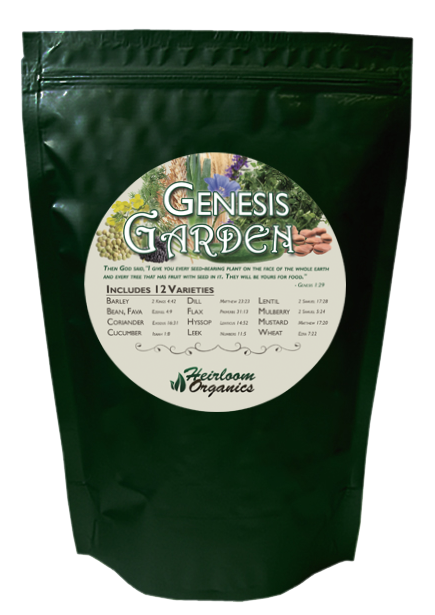 Heirloom Organics has chosen the best varieties to create a Bible Garden in North America. Many of the varieties are medicinal and many are edible. Below are some verses from the King James Version of the Bible to show these plants in use during biblical times.